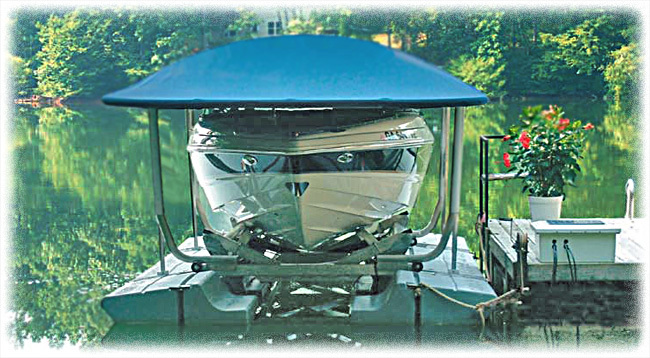 Your Boat Deserves a Garage, Too! You�ve purchased the boat you�ve always wanted so why not treat it to the protection it deserves! Sunstream�s industry leading FloatLift and HoverCover offer the convenience of on-the-water moorage, while protecting your boat from the hazards of fresh or saltwater, marine growth, sun damage and floating debris. 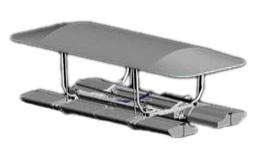 The FloatLift stores your boat above the water line, ensuring optimum performance, a flawless appearance and uncontaminated waterways. With the high-speed, remote-controlled, hydraulic system, Sunstream makes docking safe and easy for everyone. Simply tie the lift to your dock just like you would a boat. With Sunstream�s quality and service, boating has never been so enjoyable! Copyright © 2019 Parkway Marina. Affordable and Feature Rich Web Hosting by DreamHost!